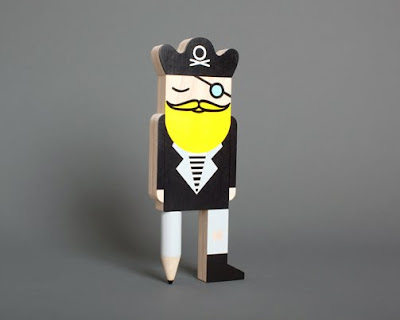 I have grain edit to thank once again for highlighting the work of an amazing artist/designer. 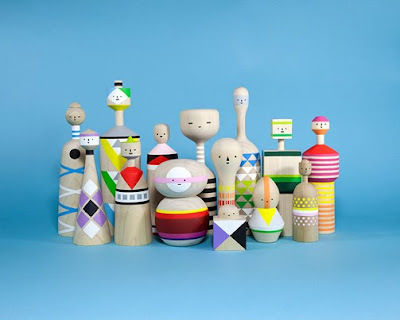 I'm loving his mid century modern take on the kokeshi dolls. 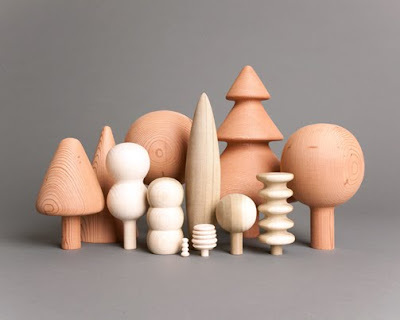 And the shapes of the trees in that forest are gorgeous. Head over to grain edit to read an interview with Mark Giglio and to see some inspiring images of his studio and work in progress. And visit Mark's website pen pencil stencil (great name!) for more. Oh and grain edit are having the most awesome give away at the moment.